Enter or copy-paste your internet radio station URL. This is the easiest and fastest way to play any kind of internet radio stations with Multi Room Audio Player. All entered addresses are stored and you can find them in the drop-down list anytime. 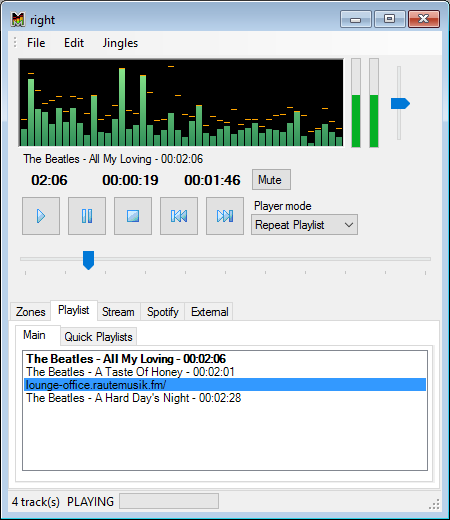 Multi Room Audio Player supports a large number of codecs (MP3, AAC, WMA and more), radio stations, Shoutcast, Icecast streams etc. There is another way to play internet radio. You can create M3U playlist with one radio station only or with radio URL and few audio tracks for example. 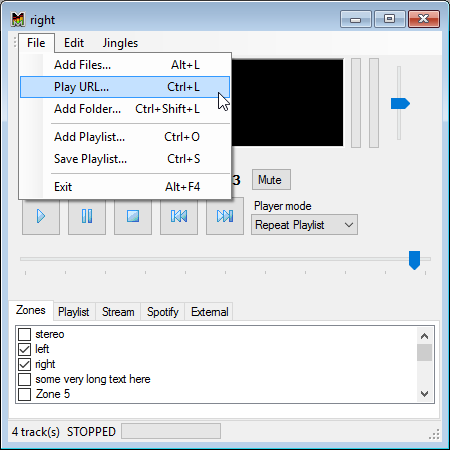 The player will play audio tracks, but when it comes to radio URL, the internet radio starts playing.